Brand new MC Series from USA Today Bestselling Author Bella Jewel!! In the darkness is where I first met him. Alone at a water fountain, tears rolling down my cheeks. From the shadows, his voice came to me. Soothing. Comforting. Rough as the blackest night. All I knew was he saved me that night. He put my back on my feet. And he kept me on them. Every single time I needed him, he found a way to come to me. My stranger of the night. My name is Scarlett. You probably know me. I’m America’s number one country music star. I’m also the loneliest girl you’ll ever meet. He’s as free as a bird. A nomad. Travelling alone. Nobody to hold him back. He holds the freedom I pray for every single day. He shows me that life can be so much more than what I’m living. When danger comes knocking, he’ll also show me a different world. A world I never knew existed. A world that both terrifies and fascinates me. A world that goes against everything I’ve ever known. A world of Iron Fury. Two people from different worlds with the same circumstances. A story of loss and love and revenge to bring people together. 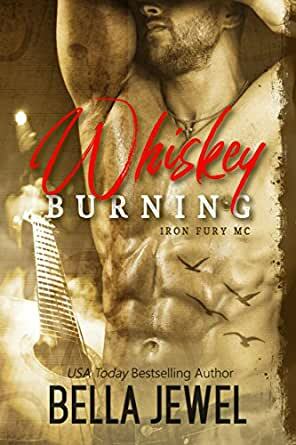 Fame and fortune don't bring you everything but a hot hulking biker who follows your tour certainly does help. The ending comes way took soon. Roll on release day for book 2. This is the first novel I’ve read by this author. I can honestly say she is now one on top of my list of faves! From the first page I couldn’t put this down. Found myself not wanting it to ends. The characters are captivating and exciting and just wow. Straight on to book 2 for me. I really thought she would be annoying and diva like but the characters were surprising. Some parts felt rushed the details and relationships could have been lengthened out to help the reader bond with them as individuals. I really enjoyed this book - talk about a cliffhanger !!!! 5.0 out of 5 starsWoah baby! This was such a poorly written book and painful at times to read. I want rate it 0 if that was the possible. To top it all off you have to purchase the next book to find out the ending.